1 ACROSS: Left with a penny. It began over thirty years ago on a family holiday in Wales, where of course it was raining. Having no doubt already explored the charms of the region’s ales such as Buckley’s or Felinfoel (known locally as “Feeling Foul”), our hero, bored and trapped indoors by the unforgiving weather, picked up a detective story which had been left in the holiday home by previous tenants, and began to read. No one is sure at exactly what point the reader abandoned the book, but abandon it he did, with the words “I can do better than that” (or similar), and, reaching for pen and ink, he did; though for many years he refused to divulge which detective story had inspired him, out of desperation, to do better. Those chapters were placed in a drawer in the Dexter house in Oxford and promptly forgotten until, perhaps six months later, whilst searching for a cufflink or a sock (the forensics are unclear), they were discovered by the author who read them over and thought to himself: “That’s not bad”. And so, dear reader, he finished it, writing in the evenings (but only after The Archers had finished) and when the manuscript was completed to his satisfaction, he parcelled it up and submitted it to publishers William Collins, the home of the legendary Collins Crime Club imprint. A long six months went by and answer came there none from London. Retaining the same packaging, Colin promptly sent the manuscript to another publisher, Macmillan’s, then in the process of creating a crime list to rival that of Collins and Victor Gollancz. Within 24 hours (according to some versions of the legend, but certainly with commendable promptitude), he received a phone call from editor George (later Lord) Hardinge and the rest, as they say, is history. 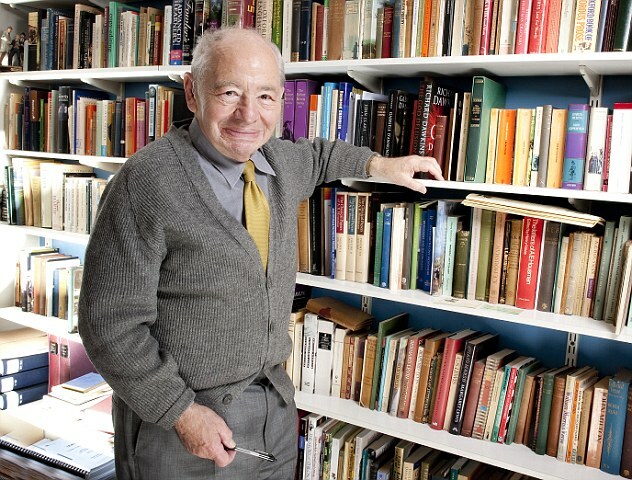 Colin Dexter was born in Stamford, Lincolnshire, in 1930, which makes him a “yellow belly” (a Lincolnshire term of endearment I believe) and, he would say, possibly the third most famous person from that county after Nicholas Parsons and Hereward the Wake. He naturally discounted Margaret Thatcher! Although he has been closely associated with Oxford (and some would say directly responsible for the unusually high mortality rate there), he is, as one might have guessed, a Cambridge man, graduating in classics from Christ’s College in 1953. His early career was as a classics master, teaching Latin and Greek, but plagued with ill-health and persistent deafness, he switched jobs to take up a post in Oxford in 1966 at the University Examination Board, where he continued to work until retiring in 1988. More novels followed and, in 1979, his first CWA Silver Dagger for Service of All the Dead and then, after seven books, television sat up and took notice. The television version of “Inspector Morse” was determined to break various moulds from the off. Each episode was to be two hours long (then longer than most feature films) and it was to star John Thaw, up until then known best for a series of tough, no-nonsense portrayals of coppers from the “shoot-em-up” school, notably in Redcap and The Sweeney. Thaw, an accomplished stage actor, was said not to have liked the charact er of Morse at all on first reading, though he was intrigued by Morse’s love of music (which he shared) and no doubt curious about his love of real ale (which he hated) and crossword puzzles (at which he was rubbish!). He was also not the first choice to play the character as far as the top level of television executives were concerned . But what did they know? Inspector Morse was to become a National Treasure, celebrated on postage stamps, on tourist trails and, fittingly, as the answer to a clue in the Times crossword. Worldwide sales of the entire series (which runs for over 56 hours) are estimated to have reached an audience of possibly one billion over 200 countries. When the final episode, showing the death of Morse, The Remorseful Day was broadcast, it attracted an audience of 18 millions in the UK. Truly, a nation mourned. However, I come not to index Caesar but to praise him. I first met Colin in 1989 at the CWA Awards ceremony after my second crime novel, Angel Touch, had won the Last Laugh Award for comedy and Colin’s The Wench Is Dead had won him his first Gold Dagger. Fortunately I had reviewed (favourably) his novel for the Sunday Telegraph and it remains one of my favourites, so much so that in the programme for Bouchercon 26 in Nottingham in 1995, I concocted a light-hearted parody which included a police report containing his wife Dorothy’s maiden name, his birthday and the home telephone number of his then editor Maria Rejt. Perhaps three people in the world got the joke, but as long as one of them was Colin, I was happy. We really got to know each other during the 1990 Bouchercon, the first to be held in London, where I still had a day job in the brewing industry. As this was possibly the only convention of crime writers and fans ever to be organised at a university venue which did not have a bar, I took the initiative and produced (on one sheet of A4) a list of the locations of the nearest pubs to the Aldwych, leaving copies at the convention reception for thirsty arrivals. Only a handful of these free “Angel” pub guides were circulated before the Bouchercon organisers confiscated them (!) but one did find its way into the hands of Hilary Hale, then the out-going crime editor at Macmillan’s, shortly to take up a new post at Little, Brown. 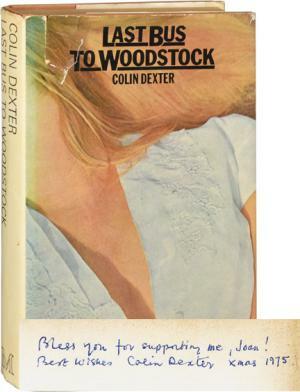 She sought me out and asked for advice on which nearby pub served the best beer as she wanted to take Colin Dexter for a drink. I suggested a Bass pub on the corner of the Aldwych and wangled myself an invitation. I vaguely remember it being a splendidly convivial evening and word soon spread so that the pub quickly filled with Dexter fans and weary American conventioneers exhausted by trying to find the non-existent bars at the Bouchercon. That was the start of the beer-based side of our friendship, which over the years saw Colin become a regular guest at the Campaign for Real Ale’s Good Beer Festival and a judge for the annual British Guild of Beer Writers’ Awards, a position he took very seriously, as pictured here in 1991 with myself and fellow judges Robert Humphreys (of Bass) and David Young (The Times). Even at designated literary events, we always seemed to find time for a beer. At a Shots On The Page convention in Nottingham, I arranged for Colin to pull the ceremonial first pint to mark the opening of a newly refurbished Home Brewery pub, and on one infamous occasion we were both guests of honour at a Boardroom luncheon in the King & Barnes brewery in Horsham in Sussex. One of the earliest non-beer related events we took part in was to talk to a conference of London librarians in 1992 and part of our brief was to introduce a new, fledgling crime writer, Minette Walters, whose first novel The Ice House had just appeared. Minette was to become a firm friend to both of us although that particular terrible triumvirate sadly never appeared together on stage again. Colin was not only good company in private, over a pint of ale. In public he was a wonderfully warm, self-effacing speaker who charmed an audience with his natural wit and erudition, dealing politely with even the most inane questions he had been asked many, many times previously. He had a fund of anecdotes and stories which gave the unwary listener the impression that he was just a simple man of simple pleasures (doing the crossword, visiting the Garden Centre at week-ends, listening to The Archers) for whom this whole ‘bestselling author’ thing all been a bit of a surprise. I had the pleasure of doing a Desert Island Hell interview with him at the British Film Institute, where I stranded him on a mythical desert island with only the books, music, politicians, etc. which would drive him mad. Not surprisingly, having only the Daily Mail as a newspaper was high on his hate list, but he also volunteered Dorothy L. Sayers as the crime-writer whose books would drive him bonkers ‘as she was such a snob’. 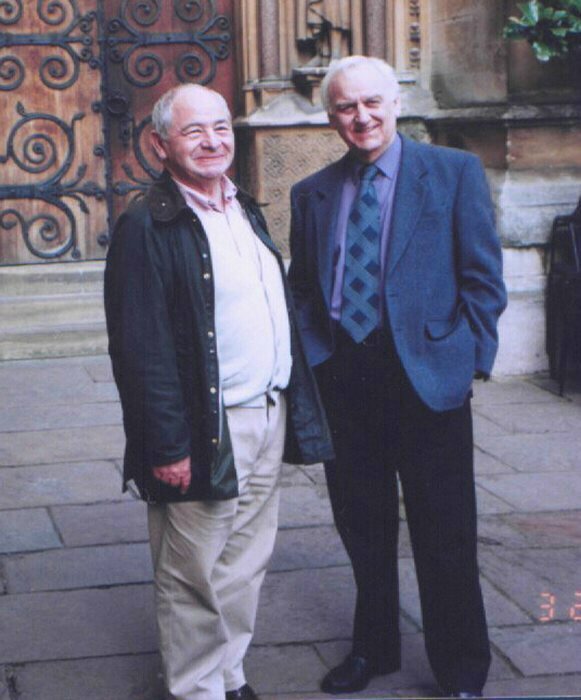 In 2007 I produced ‘An Evening With…’ both Colin and Ted Childs, the producer of the Morse television series for the Essex Book Festival, which sold out the City Theatre in Chelmsford within twenty-four hours. The evening was notable for the long, deathly pause which followed the inevitable question from the audience: why he had “killed off” his hero? Listening to him speak, an unwitting audience could be forgiven for not realising that this was the same man who generated 1,230.000 hits when his name was Googled (as opposed to 970,000 hits for “Inspector Morse”), even though he had have absolutely no idea of what being Googled involved, this was a man who used words like boustrophedon in a modern detective story (along with an estimated 11,500 other words in a vocabulary roughly 38 times bigger than that of a tabloid newspaper); who claims his favourite writer is Tacitus (he approves of the short, precise sentences), and who had pioneered the use of “the Oxford comma” in modern grammar. Whilst signing my copy of The Jewel That Was Ours in 1991 when we were both guests of the King & Barnes brewery in Horsham, he confided, with a mischievous chuckle, that ‘Lilian Cooper’ was not in fact a published poet, but his late mother-in-law. And when he and I did another “Evening With…” event in 2010 to raise funds for the Lavenham Literary Festival in Suffolk, he also revealed that his German teacher at school had been none other than Gerard Hoffnung, the master of the droll delivery style which Colin had perfected. Colin has also, famously, appeared Hitchcock-like in virtually every episode of Inspector Morse, though it did take him until 1993 to get a speaking part and there is supposedly one famous episode from which he is missing after his scene was mistakenly left on the cutting-room floor! He continued the tradition in the ‘prequel’ series Endeavour. His involvement in the TV adaptations brought him into contact with virtually the entire British acting establishment from Sir John Gielgud to the crime-writing actor Martyn Waites (who played the Duty Constable in the episode Dead On Time) not to mention debutantes Liz Hurley and Rachel Weitz, at least two Dr Who’s and half the regular cast of the Harry Potter movies. He was also just about the only crime writer I know who has never bitched or complained about television adaptations of his work. He once told me that his philosophy was: “Books is books, telly is telly.” Only he probably put it more grammatically than that. Fame and fortune seemed not to have affect him. In short, he was a really good bloke. But then I would say that, wouldn’t I? Because I think of him as a dear friend. What larks we have had over the years and not just in pubs. Ironically, after the last Morse novel appeared in 1999, Colin was busier than ever, constantly in demand as guest speaker and acting as his own secretary answering piles of fan mail. He still found time for his friends, though, as I can testify. In 2002 I embarked on a historical thriller set in 1st century AD Roman Britain. By post and telephone, Colin coached me until I managed to remember a few scraps of the Latin I had learned at school, even teaching me Roman military obscenities which I had not encountered thus far in my career as an archaeologist. Released from hospital, I determined to finish the book and once again Colin helped to re-teach me the Latin I had forgotten thanks to the stroke and when Boudica and the Lost Roman finally appeared in September 2005, I was able to give him one as a birthday present. He professed to approve of it, despite the fact that one of his Latin jokes had been cut by an unthinking copy editor, something he never allowed me to forget, and even wrote a glowing review of it for the Birmingham Post – a hand-written review, which the newspaper stupidly threw away after publication! Contrary to popular opinion, though, he did not let me into his greatest secret, that of the missing Christian name beginning with ‘E’ – something which kept the nation guessing for 13 years. Although he was genuinely delighted that my wife guessed the Quaker connection about two days before the book revealing it was published. On a birthday visit to Oxford in 2007, my wife and I stopped in for tea at Colin and Dorothy’s home and they allowed me to take an ‘official’ 77th birthday portrait. He was on fine form and seemed in no danger of slowing down, his conversation bouncing from demanding news of fellow crime writers, explaining, very patiently, some new crossword clues he had devised (including some rather rude ones) and taking a generous interest in my own health and writing career. His own health, however, was always problematic and his long-term hereditary deafness a constant source of frustration. Although he had long ago given up smoking, and more recently alcohol, he told me that if some higher power (he did not specify a God) told him he was definitely going to die tomorrow, he would ‘send for a packet of Benson & Hedges immediately’. One of his last public appearances over in East Anglia, where he usually visited my wife and I, was to celebrate the new Visual Arts Centre complex in Colchester in 2012. Visibly frail, my wife and I acted as his assistants, helping him on to and off stage. Once ensconced there, he had, as usual, the capacity audience in the palm of his hands. I have so many fond memories of Colin that it is hard to pick out one above the rest, though I always treasure the splendid quote he provided for my “Angel” series of novels: The outrageous, rip-roarious Mr Ripley is an abiding delight. I have, Colin, and will continue to do so. (Latin) “Mess mate” or old army pal. COLIN (L=left with ‘coin’ (penny) around it. DEXTER is Latin for ‘right’. It was a “Miss Silver” story by Patricia Wentworth. It was Elizabeth Walter, the editor who discovered Lovejoy, and Angel! The late Ian Richardson was a front-runner. Meaning to sweep from side to side. From the Greek, bou-strophous meaning “ox-turning” (as when ploughing).